Cozy house shows, stretches of empty highways, and lots of gas station coffee. Ratboys’ new music video for “GM” will make you nostalgic for experiences you haven’t even had yet. Shot entirely on a GoPro, the visuals take fans behind-the-scenes, offering them a glimpse at cozy house shows, stretches of empty highways, and lots of gas station coffee. 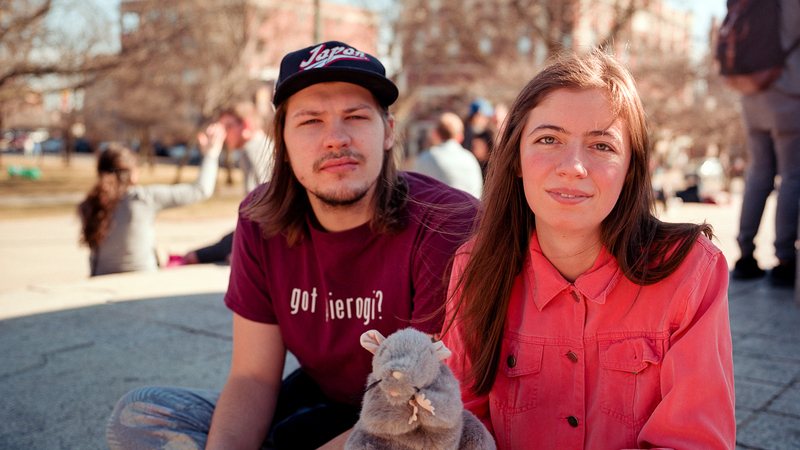 The Chicago-based band, anchored by Julia Steiner and Dave Sagan, are stalwarts of the nascent post-country DIY scene. The group’s second full-length album, GN, explores “saying goodbye, finding your way home, and then figuring out what the hell to do once you’re back” says Steiner. Filled with warm melodies, fragmented stories, and tiny universes, GN defies the sophomore slump in 10 gorgeous tracks. Check it out below, then Track Ratboys on Bandsintown to find out when they'll be coming to your city!